When I was a kid, I loved the sound of the ice-cream truck. I have fond memories of racing down the driveway, waving the truck down to stop so my brother and I could get a funny face ice-cream. 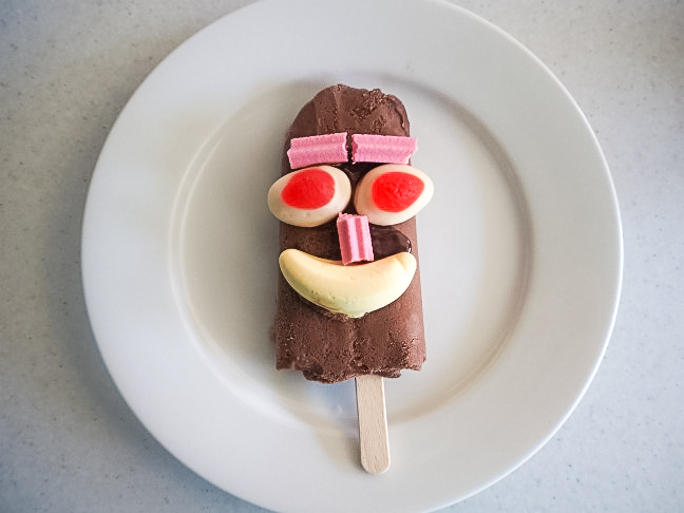 Whipped vanilla ice-cream dunked in chocolate, with smarties eyes and a banana lolly for the mouth. I’m drooling just remembering how delicious they were. So I decided to bring them back with my own little spin. My daughters love to have an ice cream or ice block for a treat on a hot summer afternoon. So finding an activity they can create and eat at the same time is a win-win activity for me. 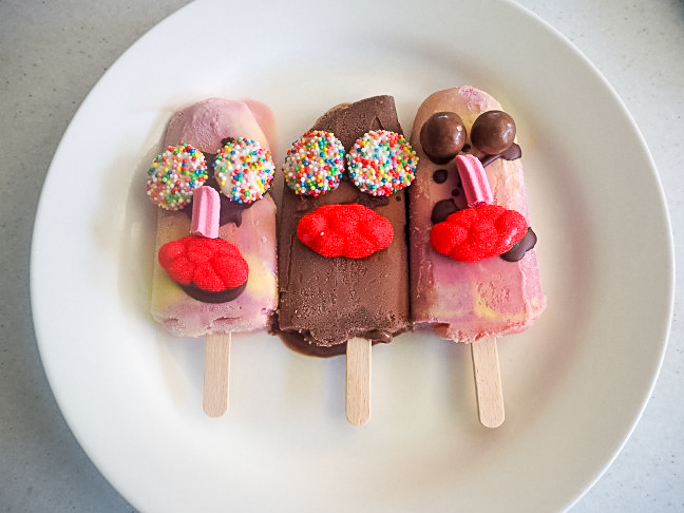 This paddle pop faces activity can get a little messy as you’re racing against time in getting the lollies on the paddle pop before the ice cream melts. 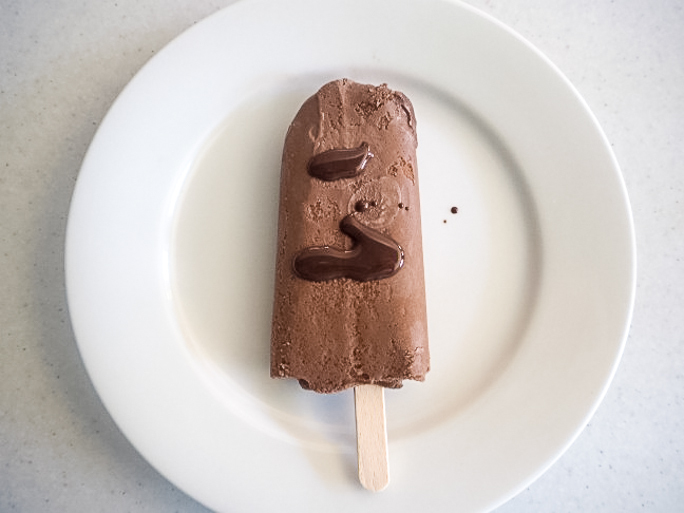 I found having some room in the freezer means once the paddle pop faces are created, they can be whipped back into the freezer on a plate to ‘re-freeze’ so they can be consumed without the face melting everywhere. 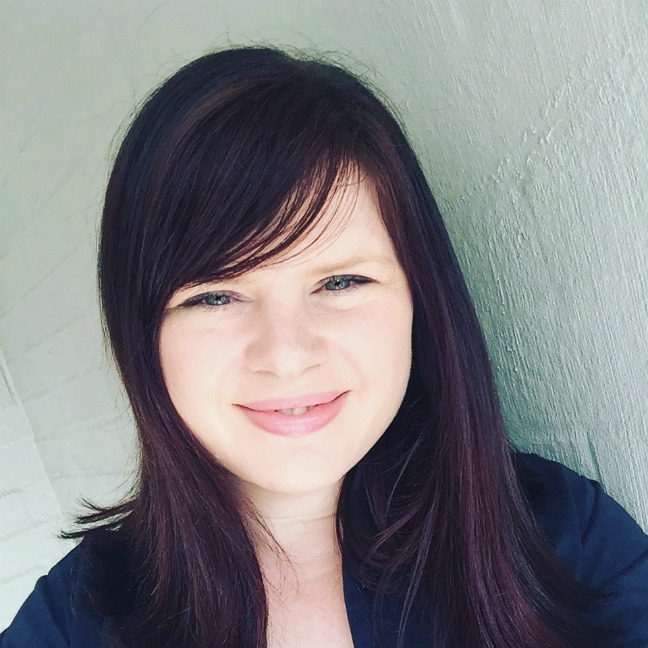 • Selection of lollies – think freckles, strawberries and creams, strawberry clouds, musk sticks, smarties and bananas that can relate to features of a face. Step 1: Put the lollies on a platter so they can be easily accessed by little hands. 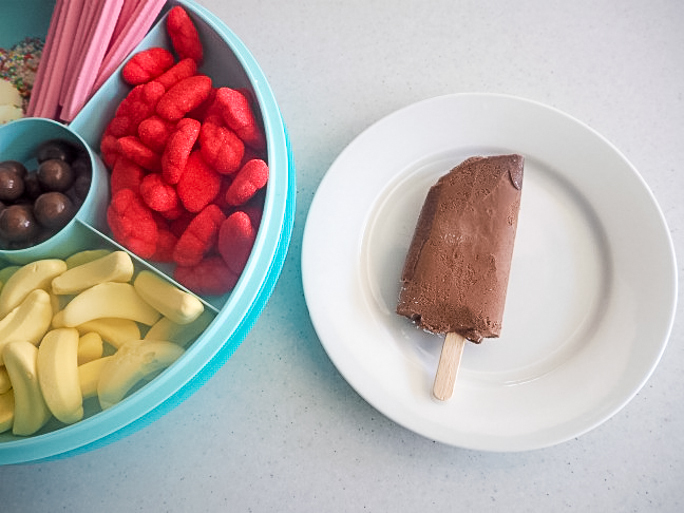 Step 2: Make some room in the freezer for your new creations then unwrap your Paddle Pop and place it on the small plate. 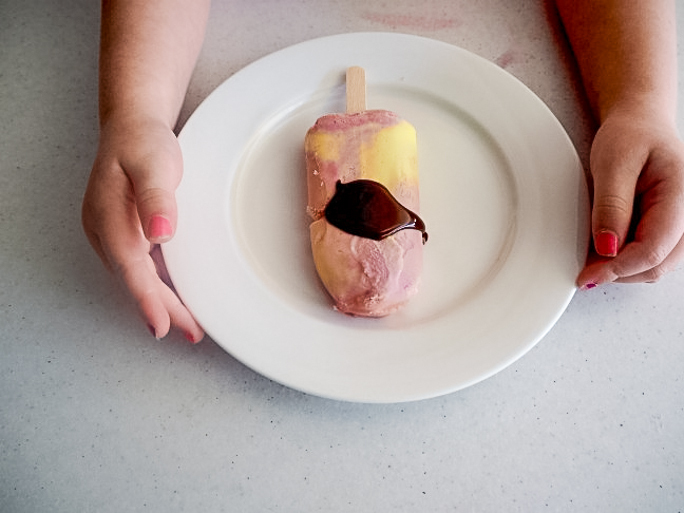 Step 3: Pour Ice Magic on the Paddle Pop. 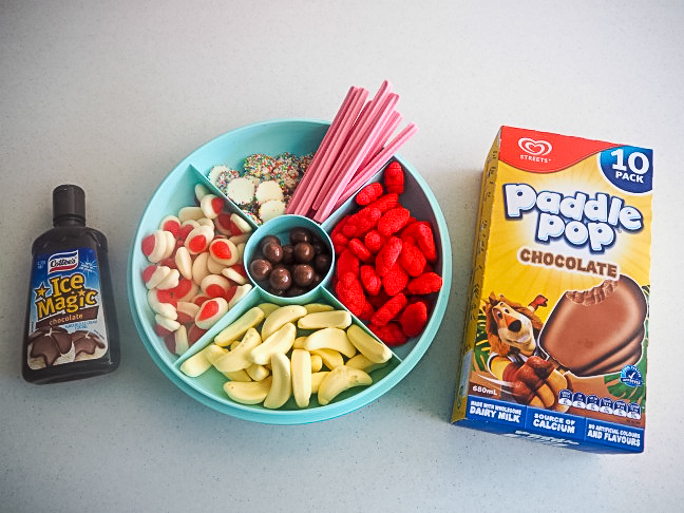 Don’t worry about where the chocolate goes on the Paddle Pop. The chocolate can be a little too runny to be accurate in creating a perfect face. 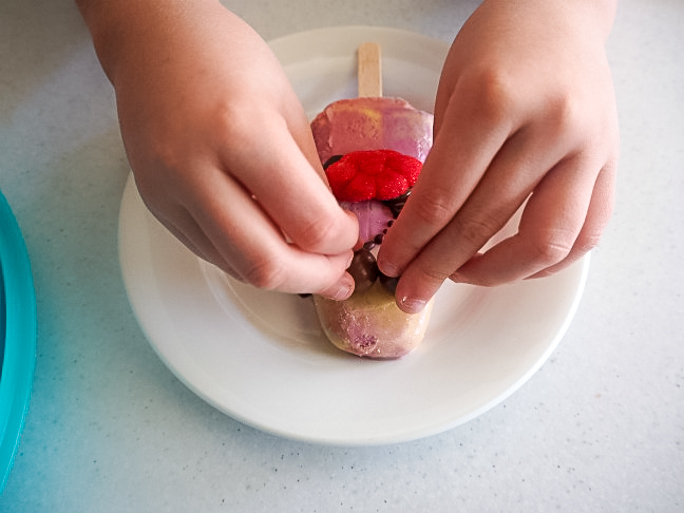 Step 4: Decorate the paddle pop using the lollies. 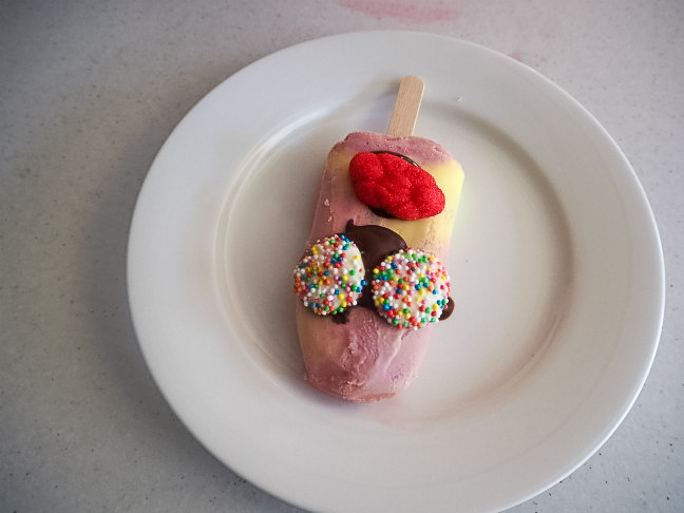 I used musk sticks for eye brows and a nose, strawberries and creams for eyes and a banana for a mouth. My girls were simpler in their design. Step 5: Quickly place the paddle pop faces in the freezer for 10 or so minutes to set. Then eat your creation. See how neat it all looks here? Well, here’s my reality… making the Paddle Pop Faces live on Facebook with my two eldest daughters. You know you are having a tough day when even the promise of an ice cream won’t stop your kid from whinging. I know you’ve been there too!